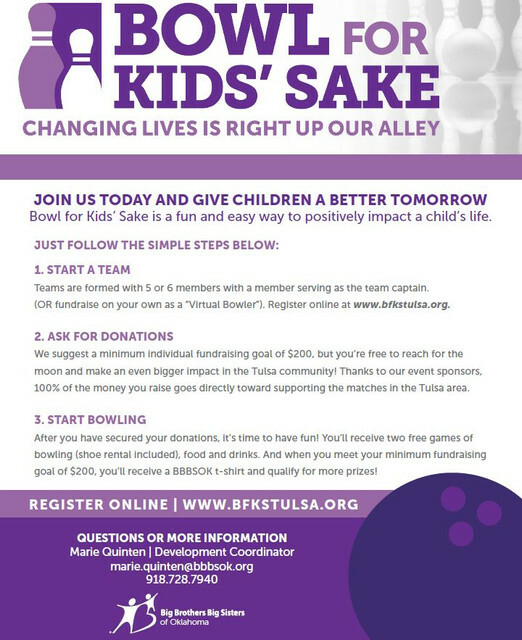 Tulsa Bowl for Kids' Sake 2018 Fundraising Campaign for Big Brothers Big Sisters of Oklahoma, Inc.
We are part of the Big Brothers Big Sisters of Oklahoma staff in Tulsa and we are fundraising to support one-to-one mentoring in the Tulsa community. 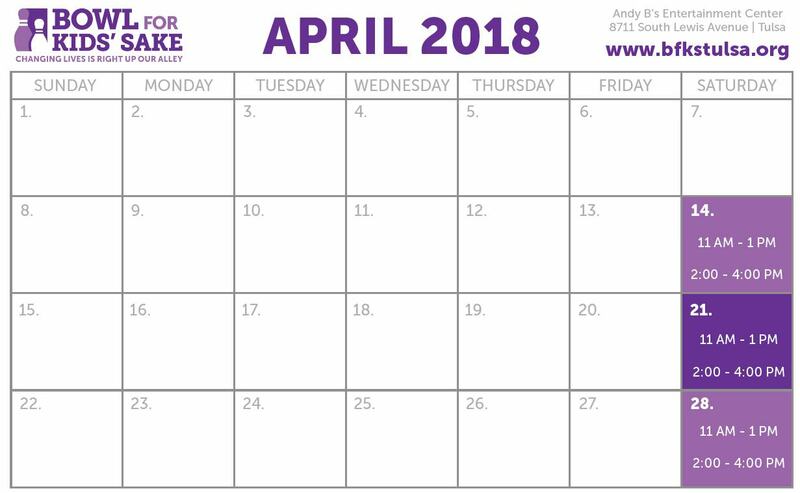 Help us make 100 new matches in Tulsa this year by donating to our team. Thank you! We at Calyx Energy see the importance for children to thrive and succeed in life. The Tulsa Bowl for Kids' Sake will allow us to honor mentors and bring awareness to the importance of mentoring. Children are the future. Team Saved by the Bell is made up of passionate professionals that are helping raise money to support the mission of Big Brothers Big Sisters of Oklahoma. Changing Lives for the Better, for Ever. Parrot Heads Party with a Purpose! Help us Fire Up this one to raise funds for one on one mentoring serving youth via Big Brothers Big Sisters Tulsa USA! Broken Arrow Electric Supply is working together to raise money for Big Brothers Big Sisters of Oklahoma. They provide one-to-one mentoring for at-risk youth in the Tulsa community. Help us by donating to Bowl for Kids' Sake and change lives for the better, forever! Olifant Energy: Working to provide the oil and gas energy that powers our world and improves people's lives! Lisa, you are such a sweet generous person and I am grateful to call you friend.